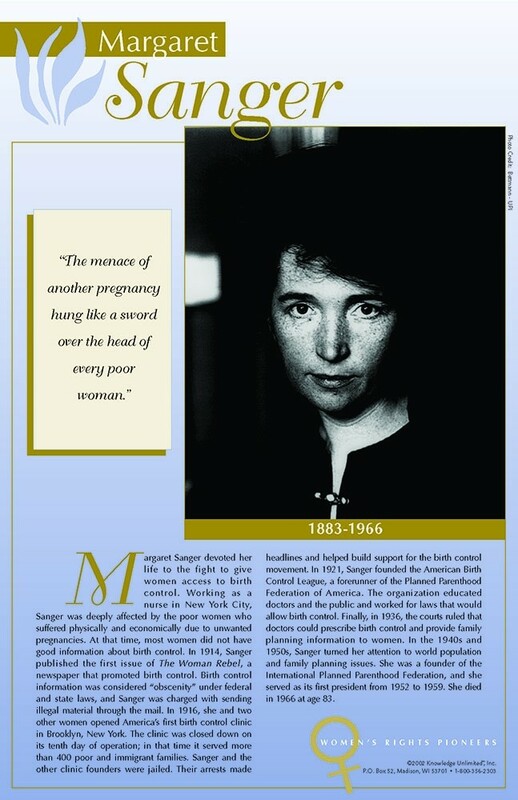 This poster of women's rights advocate Margaret Sanger features a photo, a quote, and a brief biography that illuminates her activism in the first half of the 20th century. 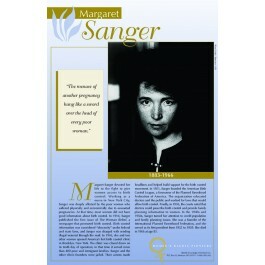 Margaret Sanger was a nurse who dedicated her life to fight for women to have access to birth control. She was especially concerned with poor women who suffered physically and economically from unwanted pregnancies.